The MARCS Institute for Brain, Behaviour and Development run regular weekly and monthly meetings/workshops throughout the year. A list of upcoming meetings and workshops that have been scheduled for 2019 can be found below. New events will be added to this list as they become available. Professor Dan Ventura will present "Hierarchical Bayesian Program Learning as an Approach to Computational Creativity". We look forward to seeing you all there! 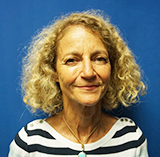 Don't miss Professor Janet Werker from the University of British Columbia who will give a presentation titled "Multisensory Foundations of Infant Speech Perception and Early Word Learning". Dr Chris Wang presents "Automate the boring stuff” is an introductory program targeted at researchers, students, professional staff, and indeed anyone who uses a computer, to show you how to code small, practical programs to automate repetitive and time consuming administrative tasks. Join us at the Werrington South campus for the next MMM with presentations by postdoctoral researcher Dr Travis Monk, and PhD candidates Atiqul Islam and Nicolas Ralph. We look forward to seeing you there! Please join us for our first Student Presentation Panel which will feature talks by MARCS PhD candidates on a range of topics. We look forward to seeing you there! How is patterning of behaviour organized? Who or what decides what action possibilities or behavioural modes are afforded within a given task context? 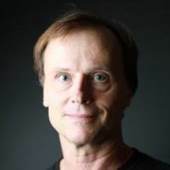 Professor Michael Richardson, ARC Future Fellow, Dept of Psychology, Macquarie University will address these and other questions in his presentation titled "Symmetries of Order in Perception, Action and Cognition". MARCS Institute Director, Professor Kate Stevens will give a brief update on MARCS activities. Staff & Students are also invited to give a brief snapshot on any published articles. Dr Leidy Castro-Meneses will give a presentation showcasing the skills and talent of the Technical Services Team and outlining the range of support available to MARCS Staff and Students. Dr Dominique Estival will give a presentation on the results of the AusTalk Map Task dialogue project funded by the Centre of Excellence for the Dynamics of Language CoEDL. Dr Nigel Nettheim will give a talk titled "Is maternal love a basic emotion? With applications to the study of expressive gesture and music." 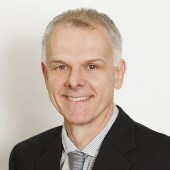 Professor Peter Keller will give a presentation titled " Music as a Microcosm of Human Interaction". Note: A light lunch will be provided between MMM and Mac. Professor Kate Stevens will give a brief update, followed by an introduction to the new SharePoint site. Our MMM committee will also welcome suggestions for planning future MMM meetings for 2019. Dr Christa Lam-Cassettari will present on BabyLab Podcast series and A/Professor Robert Mailhammer will give a presentation on 2019 CoEDL Fest. 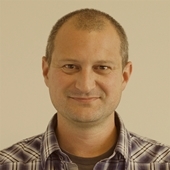 The International Centre for Neuromorphic Systems proudly announce a presentation by Professor Tobi Delbruck from the Institute of Neuroinformatics, University of Zurich. This presentation will take place at Level 2, Building BA, Werrington South campus. A/Professor Gabrielle Weidemann presentation "Australian infants sensitivity to the cultural differences in the display of infant directed emotions as modelled by Australian and Japanese mothers. Professor Kate Stevens will welcome everyone to the first MMM for 2019. We will also hear presentations from our Summer Interns, followed by a light lunch. Dr Drew Weatherhead, Postdoctoral Fellow in the Infant Studies Centre at University of British Columbia will give a presentation titled "Visual speech influences lexical access in infants". At this workshop, REDI's Andre Urfer will explain the role of REDI Business and its services available to researchers. It will provide tips on how to engage with industry and navigate the legal minefield involved. Not to be missed!